Headed to Gulf Shores for summer vacation? Why not participate in a race?! 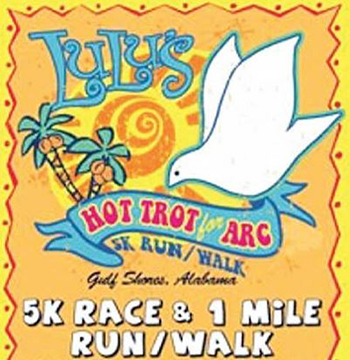 Doc’s Hot Trot for ARC 5K Run/Walk is a fund raising event conducted by the Robertsdale Rotary Club, through the Robertsdale Rotary Foundation. The event will be held Saturday, 6/20/15, 7:30AM, at LuLu’s in Gulf Shores, AL. All net proceeds are donated to the Association for Retarded Citizens of Baldwin County. The Robertsdale Rotary Club Foundation and the ARCBC are 501(c)3 organizations.